Talking about something way different than common colored decorative or serving appliance, it will become difficult when you have a rainbow exterior. The colorful design will surely get you the pleasure of having an outstanding performance in the first place. 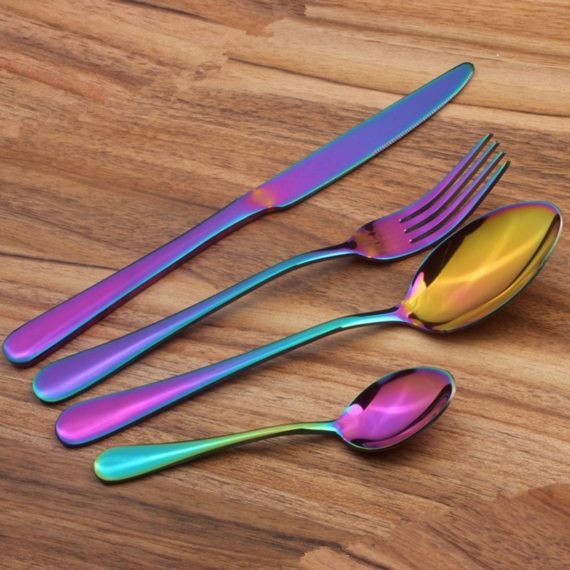 And with rainbow-colored flatware, it just reaches the perfection to suit the table without the slightest inconvenience. The rainbow exterior is nothing but the mixture of some common colors with variable uniformity put over the surface. The handle mostly contains the coloring whereas the top mostly bears a black or dark exterior. But the overall surfacing is pretty gorgeous and able to leave amazed the viewers all along. 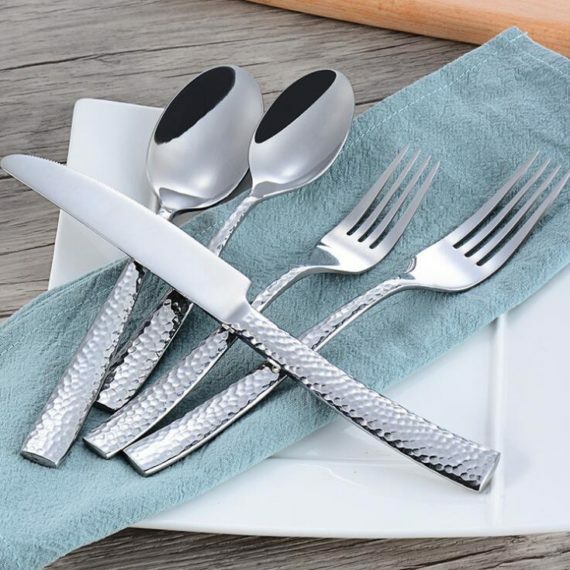 Although the flatware set having rainbow exterior comes with supreme and exclusive ornamentation, the best quality sets available in the current market falls short of quantity comparing with others. 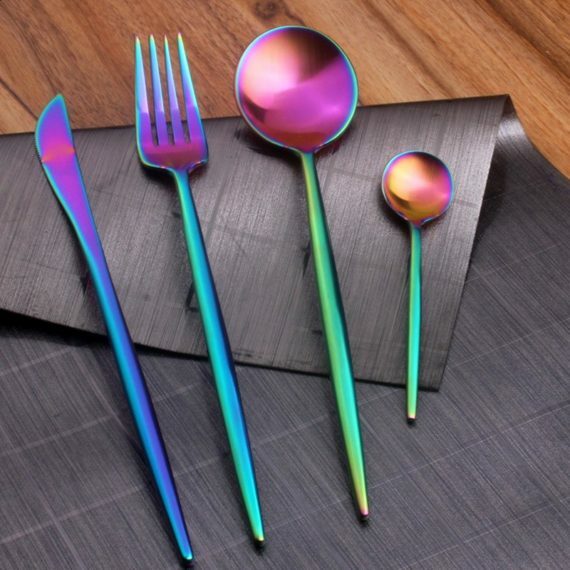 All the other colored flatware sets may come with 4-36 pieces at once. As it happens, you are likely to get a package containing 4 cutleries in general and 20/24 cutleries, if you are lucky with rainbow cutlery. One issue regarding the rainbow color is the background appearance. In fact, for a dark background, the rainbow induces better outlook and glaze whereas a light exterior may reduce the appearance expected from rainbow-colored flatware. Of course, the density and lightness of the rainbow colors also matter regarding an acceptable and pleasing appearance. With a limited number of gears, you may need to purchase several packages to have a party or gathering. Providing a rainbow color over the table for decoration will do its job perfect enough. In the meantime, having the supper using this peculiar set will undeniably give the feeling that a dream comes true.